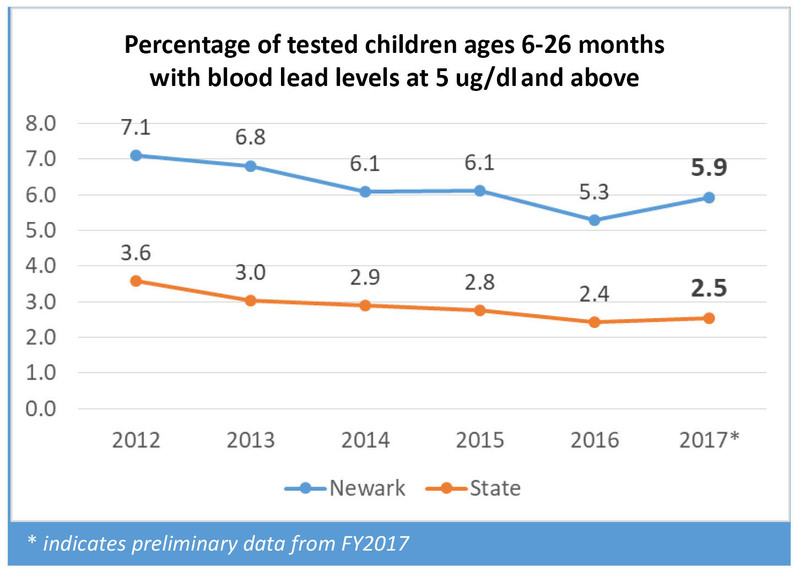 Lead exposure continues to endanger Newark children, but recent developments present an opportunity to develop a permanent plan to eliminate and control the lead found in Newark’s homes, infrastructure and environment. More than 2 in 5 sampled homes had lead levels in their tap water above EPA action levels. The percentage of children with high lead levels increased, after years of improvement. As we begin 2019, this should be the year that the city of Newark and the state of New Jersey create a comprehensive solution to eliminate lead exposure for children once and for all. In March 2018, ACNJ released a Newark Kids Count report with a special section on lead exposure, since Newark children have a heightened lead exposure risk. The report showed continued high percentages of children being exposed to lead, as well as a lack of awareness among residents of programs designed to reduce lead exposure. Newly available data show that heightened lead exposure risk persists for children in Newark. After years of trending downwards, the rate of children ages 6 to 26 months with elevated lead levels increased in the city, from 5.3 percent of tested children in 2016 to 5.9 percent in preliminary data from 2017, while the state rate remained largely flat between 2016 and 2017. Elevated lead levels are defined as 5 micrograms or more of lead for every deciliter of a child’s blood, but there is no safe level of lead for children. The rate also went up for children age 6 years and under, from 4.7 percent in 2016 to 5.2 percent in 2017. This contrasts with the state exposure rate, which also remained roughly flat for children age 6 and under. New Jersey has a universal screening mandate at 12 and 24 months old, since young children are most vulnerable to the developmental harm caused by lead exposure. Although there is no information on the cause of the increase, the shift is cause for concern after years of declining rates of lead-exposed children. Although lead paint and dust are traditionally the main exposure risk for young children, tap water can also be a risk in old housing. In 2018, tap water in Newark was found to have unsafe levels of lead. 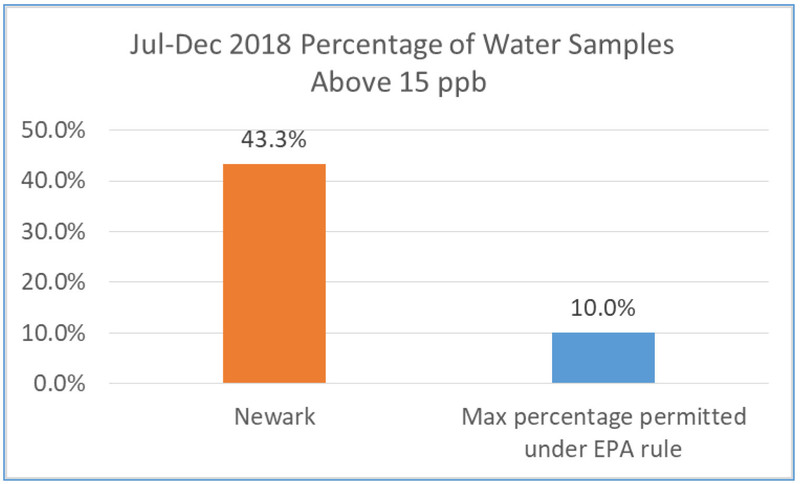 Of the 240 tap water samples tested in Newark in the second half of 2018, more than 2 in 5 (43 percent) tested above the Environmental Protection Agency (EPA) action level for lead of 15 parts per billion (ppb). Results can be found on the New Jersey Department of Environmental Protection’s Water Watch page for Newark. To enforce the rule, large water systems in New Jersey are required to sample water in six-month intervals. The EPA action level is the level for enforcement, not safety. There is no safe level of lead in water. 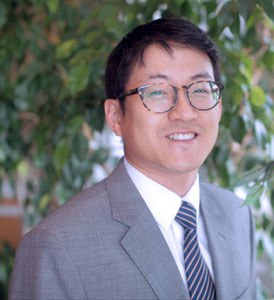 Instead, when 10 percent or more of taps tested are above the EPA action level, the water system is considered out of compliance with the EPA Lead and Copper rule, requiring investigation and remediation if necessary. For a home, however, the only safe level of lead in water is 0.
and send a letter to doctors and families recommending that pregnant women and all children starting at 3 months old be tested for lead, even if they had been previously tested. For more information on the City’s programs to reduce lead exposure through water, please visit newarkleadserviceline.com. With the spotlight on Newark’s lead issues, 2019 represents an opportunity for the city and state to eliminate future lead hazards for Newark’s kids. Although the City of Newark already has some programs to address lead in homes and water, ACNJ’s March 2018 report detailed the low awareness of these programs to many residents. A comprehensive plan to eliminate lead exposure in Newark will require extensive cross-sector and cross-department collaboration, data collection and analysis, stronger enforcement of lead inspection and lead-safe housing laws, and large-scale public and community engagement efforts. It is never too early to take precautions to protect children from lead. Even low levels of lead can have lifelong effects on children’s brain development, and these effects cannot be reversed. Healthy child development is a core part of ACNJ’s Right from the Start NJ and Think Babies campaign. With a comprehensive approach, we can ensure that all children in Newark grow up lead-free. NJ Department of Environmental Protection publishes water system testing data on its Drinking Water Watch website (https://www9.state.nj.us/DEP_WaterWatch_public/). Newark data for lead testing is available here: https://www9.state.nj.us/DEP_WaterWatch_public/JSP/PBCUSummary.jsp?tinwsys=127 Data was retrieved on January 8, 2019. We are almost there! Join the list of ACNJ Sustaining Members today! What is the lead level they are considering as elevated 3, 4 5, the law in 2016 was 10ug/dl so you cant compare levels of elevation. The data on which this chart is based includes children testing at 5 micrograms per deciliter of blood and above for the noted years. ACNJ has tracked children testing at 5 ug/dl since 2012, and this data has been included in the statewide annual reports available on the NJDOH website. The State changed its definition of elevated blood lead level in 2017.